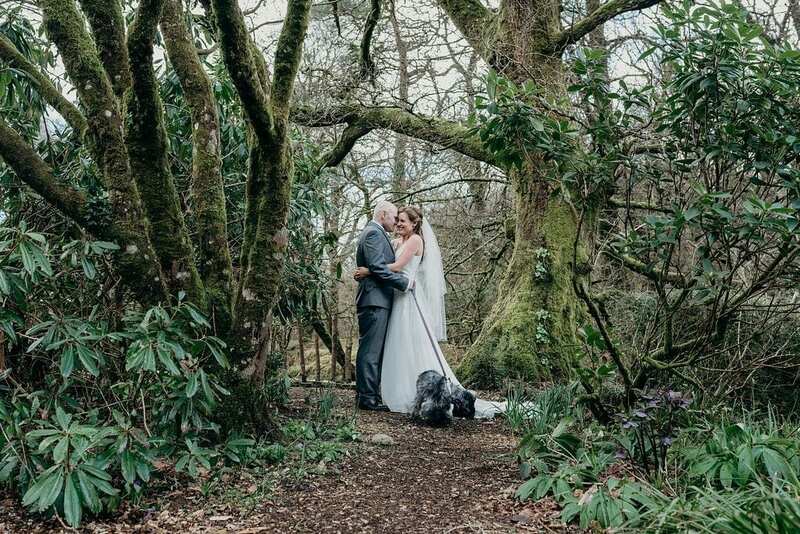 It won’t be elopement wedding season for much longer, so in this blog post I’m showcasing even more elopement love before the summer wedding season hits… I’ve been absolutely loving all the elopement wedding pictures which have been popping up in my inbox recently. Clare is a wizard with a camera and always manages to capture such beautiful photos. 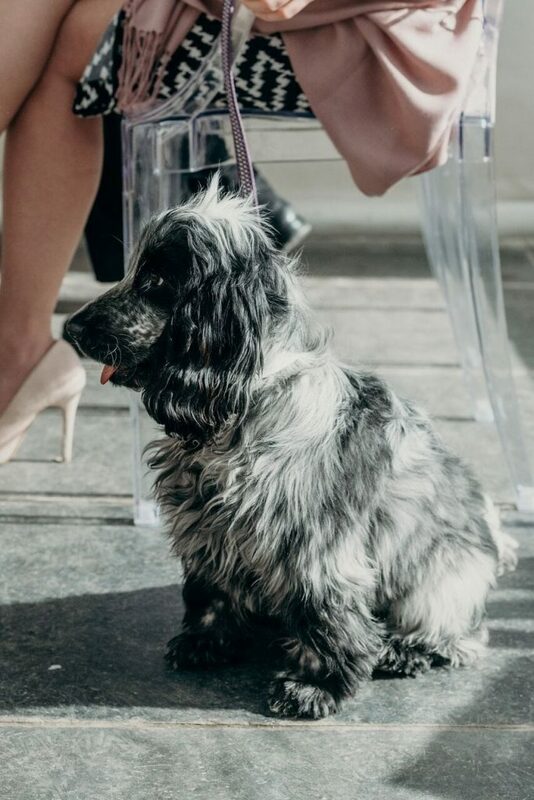 Vicky & Ben’s wedding was most definitely one of those! Last week, we took a look at Laura & Harry’s gorgeously intimate wedding (find it here). This week, it’s Vicky & Ben’s turn. 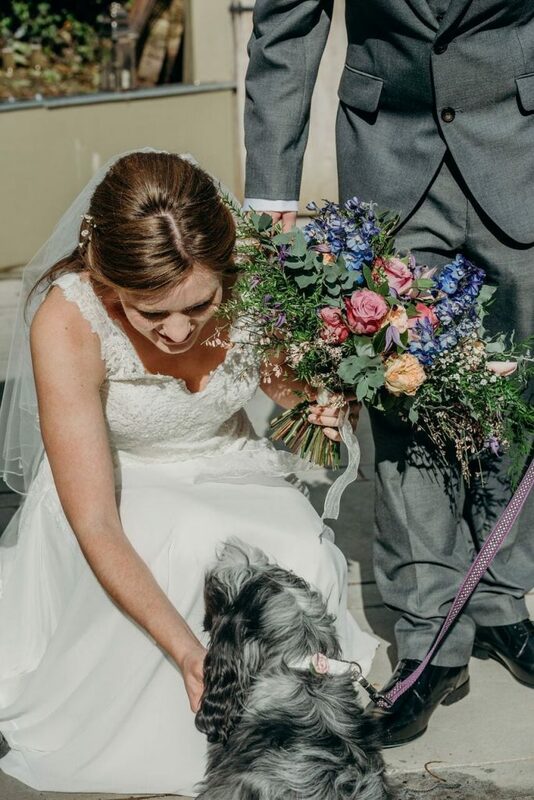 This couple had some of their nearest & dearest to celebrate this special moment in time, including their unbelievably adorable puppy, Dotty. Plus, the sun even made an appearance for them! They got married on the terrace in front of the open fire, before having a confetti throw, photos, and drinks outside with their guests. Vicky & Ben could not have picked a better week to get married! 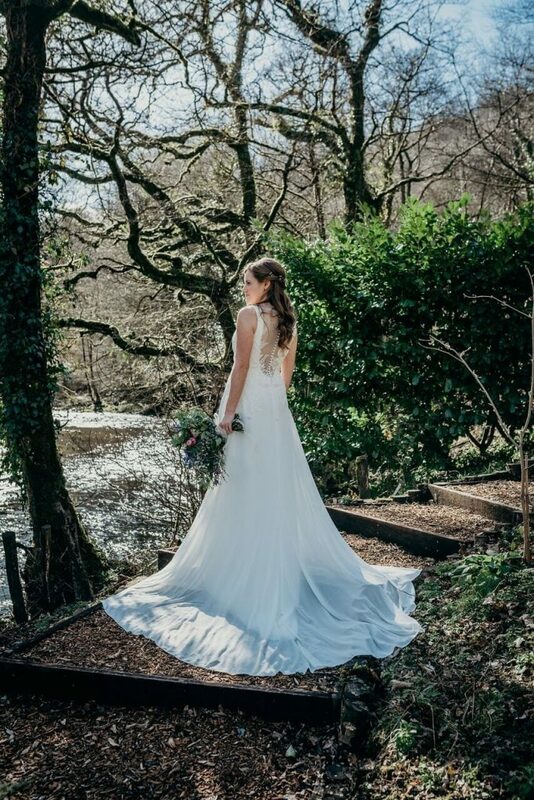 Despite it being March, the wedding before theirs and the wedding after, both fell on the (very random) flurries of snow we had (thanks Beast from the East and Pest from the West…). After their family photos, Vicky & Ben went off with Clare to have their stunning couple photos taken, whilst guests enjoyed an outdoor drinks reception. Vicky’s bouquet was a gorgeous mix of pinks, purples, blues, and foliage, and their wedding theme was relaxed and natural. With that brief in mind, we setup the tables with green tablecloths, a hessian runner, white charger plates, pink & mauve napkins, a bark vase for the bridal bouquet, and a selection of pink, clear, and bark votives for the tea lights. Vicky & Ben had different wedding cake ideas, so our uber fabulous elopement chef created this unique miniature wedding cake. One tier each! 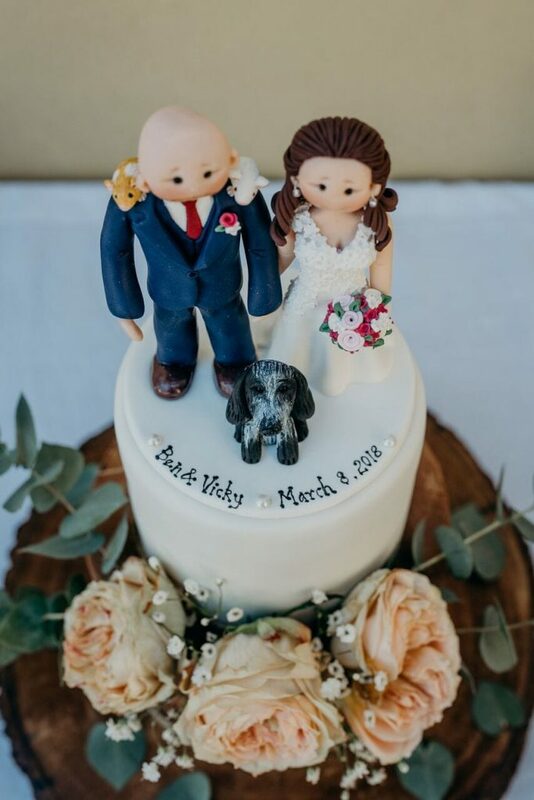 How cute is that cake topper?! Here are a few snaps of the happy couple themselves. And for even more photos from this wonderful elopement wedding, check out their real elopement page.